TRUST ME, I’M A GAME SHOW HOST: You Don’t Have to Be a Genius! Uber-television producer Mark Burnett has a new game show experiment project called, “Trust Me, I’m A Game Show Host”. The show will be filming for ABC mid-May. A surprising risk for ABC since Burnett’s game show, “Our Little Genius” fell apart at the seams and never made it to air date on FOX. “Our Little Genius” was a game show that had children who ranged in ages from nine to thirteen compete for money upon the contingency that they answer certain multiple-tier questions directly related to their field of expertise, or “genius”. It was later exposed that a number of contestants were tipped-off on answers, as well as other suspicious on-set activity observed by HOLLYWOOD JUNKET reporters on numerous tape days. As a result, FOX pulled the show off the Fall schedule. When we contacted the show’s publicist for comments from producers regarding our findings and questions, their response was “FOX has no comment”. Since then, we’ve uncovered a more recent finding. A source close to the show told us that there was never any game show “Standards and Practices” present on the set of “Our Little Genius”. Our source said that the show brought-in their own team from FOX and Burnett productions. 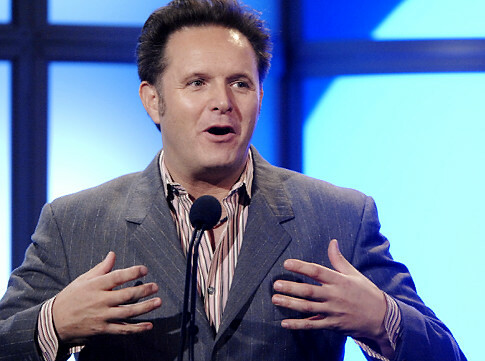 Producer Mark Burnett has a new game show coming to ABC! Basically, it appeared as if a reality show creator/producer, (Mark Burnett) chose to film a “game show” in the similar manner as a reality show by ignoring traditional game show rules, such as you don’t give contestant’s multiple chances to re-start their games. And, you don’t replace missed questions with one’s that the contestants’ know. “Trust Me, I’m a Game Show Host” will include 100 players who are qualified by the Burnett casting team to be good at “reading” people. Scheduled auditions took place at Mark Burnett production facilities in West Los Angeles. Not much information was given out for fear of “leaks”. But, the show will start filming on May 19th and requires two days from contestants. Questions that contestants can expect are not just basic trivia, but rare and not widely know facts such as: Was ‘Huckleberry Finn the first novel to be written on a type writer, or is Mark Twain related to baseball player Roger Clemens?